Home > Forensic Innovations, Inc.
Found 4 file extension associations related to File Investigator and 3 file formats developed specifically for use with File Investigator. 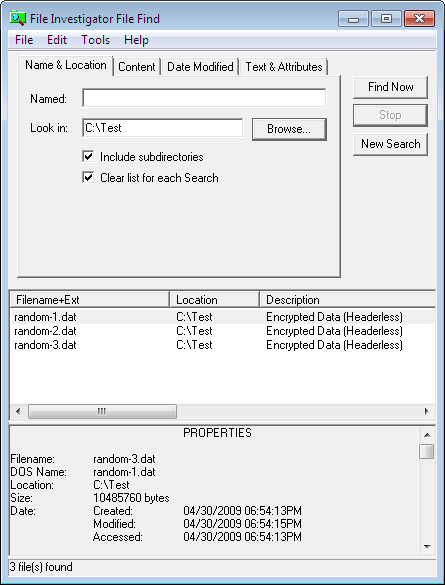 Find and identify NTFS ADS, hidden and regular files, from your own application. Includes sample source code and example applications for MS Visual Basic, C++, Sun Solaris Forte C and Red Hat Linux. If you need more information please contact the developers of File Investigator (Forensic Innovations, Inc.), or check out their product website.